A “manger” is an animal’s feeding trough. After Jesus’ birth, Mary and Joseph placed Him in one such trough. This reality is sung about in the song “Away in a Manger.” This fact is so commonplace to us since the Christmas story is so familiar. However, have you ever stopped to wonder exactly WHY God had Jesus placed in a manger that first Christmas day? While certainly the repurposed manger helped symbolize the humility of Jesus, Luke 2:12 gives us the specific reason for the trough. “And this will be a sign for you, you will find a baby wrapped in swaddling cloth and lying in the manger.” These words (spoken by the Angels to the shepherds, inviting them to visit Jesus after His birth) indicate that the manger crib was the sign to let the shepherds know which baby Jesus was. In others words, there were other babies in Bethlehem that night, but only one was wrapped in cloth and lying in an animal’s feeding trough. That One was Jesus. Since every Jewish mom would wrap their child in cloths, it was the manger that highlighted Jesus’ identity as the Son of God. The Angels basically used the manger as a spotlight. The shepherds would go house to house until they found the baby in the feeding trough. When they found THAT child, they would worship Him. I think it is important to reflect on the BED Jesus lay in being the distinguishing factor as to His identity. This lets us know that He otherwise LOOKED like a normal child. He was not glowing in holiness . . . He looked normal. He was not talking in perfect language . . . He sounded like a normal baby (meaning He probably was crying, despite what the lyrics of the Christmas Carol might suggest). Everything about Jesus looked normal, so the Angels could not identify Jesus to the shepherds through His physical appearance. So they described the bed He lay in. Friends, this simple point helps remind us that the Son of God really did become the Son of Man. Jesus really did become fully human, identifying down to all the sights and sounds of “normal.” This reminds us that, “For we do not have a High Priest who is unable to sympathize with our weaknesses, but one who in every respect has been tempted as we are, yet without sin. Let us then with confidence draw near to the throne of grace, that we may receive mercy and find grace to help in time of need. (Hebrews 4:15-16)” Jesus knows what it means to live a normal human life. He lived a “normal” human life in every way . . . except that He did not sin. Therefore, He can help us and forgive us as we deal with the sin in our own life as well! As you sing “Away in a Manger” this Christmas season, be reminded that Jesus’ bed (not His body) revealed His uniqueness that first Christmas night. He knows normal, and so He can help normal people – like you and me. 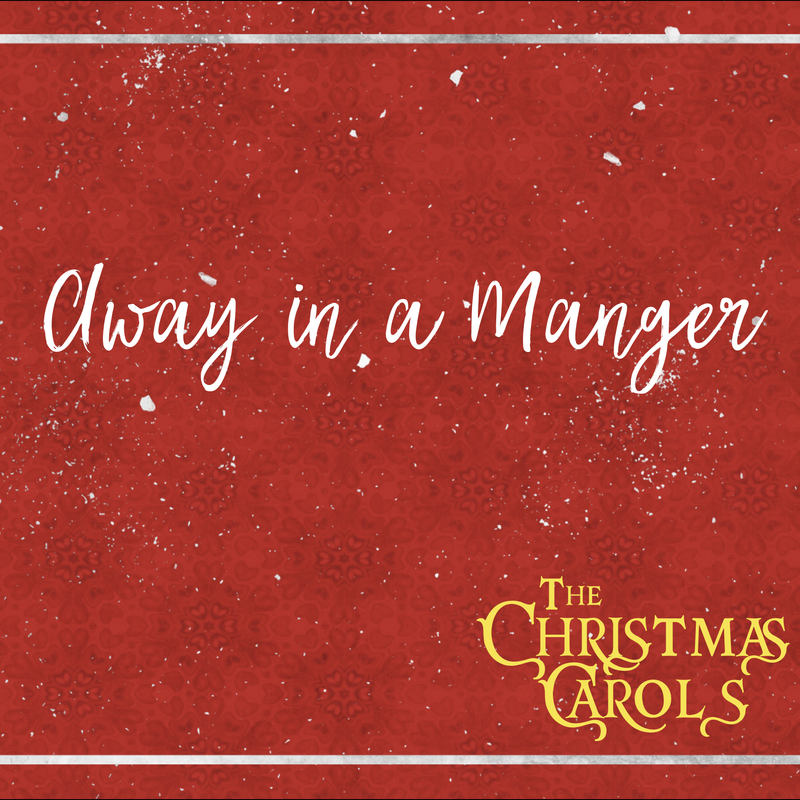 To access all 31 days of “The Christmas Carols” Devotional, click here.